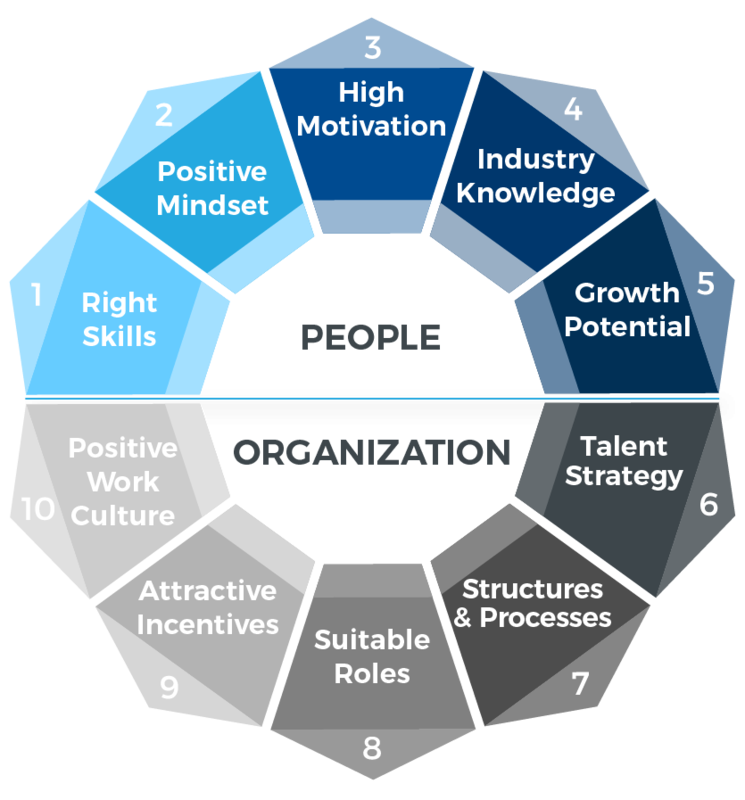 Creating and growing the right workforce to achieve business goals. Strategies and frameworks to create an engaged and knowledgeable workforce. People make up the basic building blocks of any organization, with their ideas, skills and efforts coming together to collectively determine its identity and performance. The better each unit is and the greater the cohesion among these various units, the higher the performance of the company. At MENTOR, we help organizations maximize the value of this key resource. We guide you on the best ways to attract and retain top talent, and grow and develop it through career planning and employee learning. We also ensure that your people are aligned with your strategic goals, with knowledge and talent specifically selected and situated to support the organization's various functions and overall business goals. Explore how we can help you turn your people's potential into real competitive advantage. Advisory services on how to design and implement systems and practices that encourage employee success and growth. Assess employees accurately and easily through face-to-face and online tools to evaluate psychometric and technical skills. Comprehensive consulting services to design, implement and manage competency frameworks in talent management. Career path development for all roles in the organization, to promote job motivation, career progression and company loyalty. Establishing a process to identify future candidates for senior roles, assess their readiness, and develop their abilities. Our outsourced consultants and trainers work on-site with our clients to expedite projects and initiatives, transfer knowledge to client teams, and provide support and direction on the ground.